‘I am indebted to the theatre for eighty-five per cent of my writing; it is not merely an important influence on me, but an intrinsic part of my writing: the dramatic surprises, the sprinkling of small clues which later merge together in a revelatory event…’ These words of Camilleri’s find renewed confirmation in this book: characters, both major and minor, move about in Vigàta, the town that is the setting for all his stories: they perform, like actors in a theatre, but at the same time they are real people, in the emotions they feel and the adventures they experience; they advance across the stage at a speed determined by the author, to a distinctive musical background: the lively, fascinating language that he has invented. 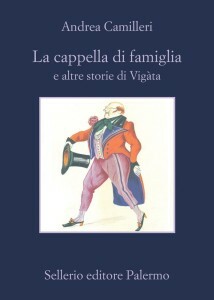 According to Camilleri, he has never had an adventurous life himself, but his stories become extraordinary ‘because the people – even the most normal individuals – that I have observed, noticed and met, are extraordinary’; so he draws on his formidable memory, not only of literature and the theatre, but also of his personal knowledge of the events and characters of his native Sicily; his pages make us laugh and cry, and are both moving and exciting. In this new collection, set in the nineteenth and twentieth centuries, the stories seem to form a single novel, despite the temporal distance that separates them. Lo stivale di Garibaldi is set in 1862, the brief experience of a Florentine as Prefect of Agrigento showing us what Sicily was like in the years following Italian unification. The echoes of the case of the Countess Trigona, whose lover cut her throat in 1911 in a small hotel in Rome, lead to a duel in Vigàta, but duelling proves infectious: the first challenge generates others, eventually involving the whole village. A corpse moves about in Il morto viaggiatore, first from a cornfield to an olive grove, then through a men’s clothes shop and onwards, in an extraordinary progression; in La cappella di famiglia, stories of jealousy, betrayal and inheritance are acted out on All Souls’ Day on the unique stage that is the local cemetery. In Il palato assoluto Caterino Zappalà is seized by a doubt: should he exploit his exceptional gifts as a wine taster for financial gain, or should he abandon the idea and return to normal life? Civic passion resounds through all the eight stories of this new collection; Camilleri’s Sicily is never resigned or defeated: ‘it is constantly on the move, rebelling against something or someone’. Six of the eight stories that make up this volume are previously unpublished; Lo stivale di Garibaldi and Il palato assoluto first appeared in an edition distributed with the magazine ‘Stilos’ in 2010.